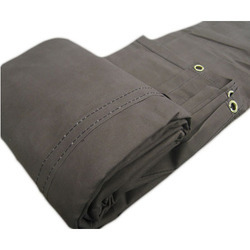 We are known as the foremost manufacturer and supplier of an exclusive range of Canvas Cloths. The offered cloth is designed by our professionals at par with the international standards of quality. Our offered cloth is recognized for its light weight, good strength, waterproof nature and reliability. 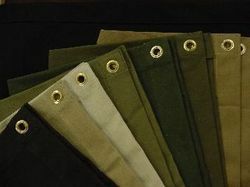 Cotton Canvas Cloth in running meter, available in all colours. The cotton canvas cloth is using latest modern technology machine made out of high quality yarn and supplying to exporters, bag manufacturers, tarpaulin manufacturers and other applications also. The above canvas cloth is available in dyed and water proof canvas cloth for truck tarpaulins, wagon covers, tents, export bags, temporary shelters, screening for major companies. The company offers an exclusive range of Water Proof Canvas Cloth that is designed as per the latest trends in home furnishing. Made using optimum quality raw material, these handloom dari are highly reliable. The Water Proof Canvas Cloth supplied by the company are offered in various exquisite designs and sizes. We are manufacturer of Wax Coated Canvas Cloth. These are used as protective covering for different application across the world. Our range of Wax Coated Canvas Cloth are weather resistant, light in weight, easy to handle and convenient to clean.